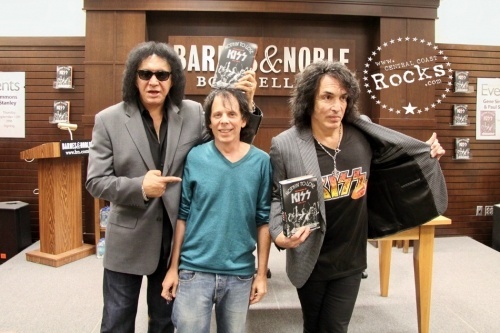 Paul Stanley and Gene Simmons conducted a book signing for "Nothin' To Lose: The Making Of KISS (1972-1975) on Sept. 12 at Barnes & Noble in Los Angeles. The duo were joined by book co-author Ken Sharp. 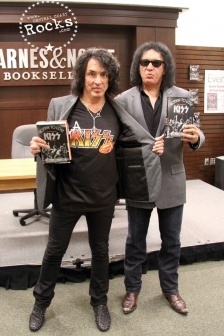 Constructed as an oral history, the book includes original interviews with Paul Stanley, Gene Simmons, Ace Frehley, and Peter Criss, as well as with producers; engineers; management; record company personnel; roadies; club owners; booking agents; concert promoters; costume, stage, and art designers; rock photographers; publicists; and key music journalists. Many of KISS's musical contemporaries from the time, most of whom shared concert bills with the band on their early tours, also lend their perspective via new interviews; these include Bob Seger, Alice Cooper, and Ted Nugent, as well as members of Aerosmith, Black Sabbath, Rush, Slade, Blue Öyster Cult, Mott the Hoople, Journey, REO Speedwagon, Styx, Raspberries, The James Gang, The New York Dolls, Iggy & the Stooges, The Ramones, Suzi Quatro, Argent, and Uriah Heep, among others. 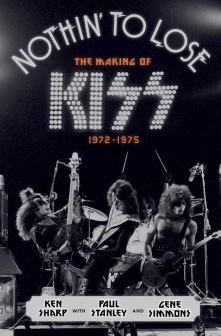 Chronicling—for the first time in one epic oral history—the crucial formative years of the legendary rock band KISS, NOTHIN’ TO LOSE: THE MAKING OF KISS (1972-1975) — (It Books; September 10; 2013; Hardcover; $29.99) by Ken Sharp, with Paul Stanley and Gene Simmons, is an up close and personal look at the formation of one of the most beloved and iconic rock bands of all time – told by the people who were there. Forty years ago, in a perfect storm of attitude, oversize ambition, and plain dumb luck, Paul Stanley, Gene Simmons, Ace Frehley, and Peter Criss came together, and KISS was born. They would go on to change the face of rock and roll – to scale the peaks of rock immortality – and become global superstars, who still tour and perform today. And yet, the saga of KISS is far from the classic overnight success story. Theirs is a story of struggle, a story of resilience, and of an unrelenting desire to succeed. 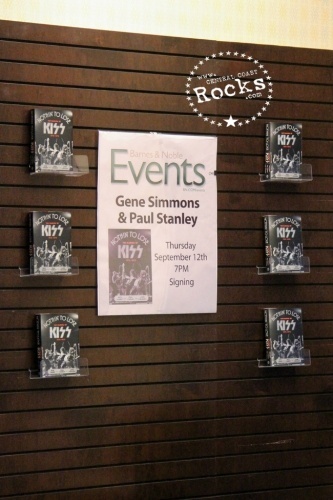 •	How the band was tricked into recording Bobby Rydell’s fifties’ pop hit “Kissin’ Time,” only to have it end up on an album, and why it led to one of the largest promotions in the history of radio (and many, many hours of nationwide kissing). 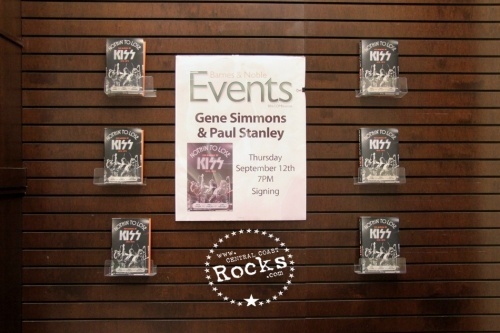 •	The story of the strangest gig KISS ever did, and why it’s still remembered as the best library fundraiser ever. •	What Rush learned from KISS about stage presentation, and behind-the-scenes stories on the evolution of the KISS stage show. •	How the classic photo on the back cover of KISS’s Alive! album came about, told by the two teenagers pictured – and how Red Hot Chili Peppers’ drummer Chad Smith saw the whole shoot go down. •	Why the band’s first major gig – at New York’s Academy of Music, on December 31, 1973 – was almost their last (and why Gene never tried to “flash fire” out over the crowd ever again). •	How music magazine Creem fooled the band into posing without makeup and nearly blew the cover off of the band’s look. 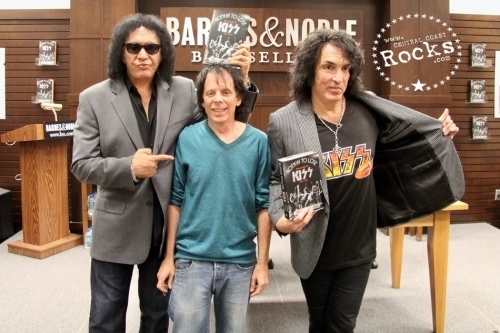 •	The devotion of the KISS road crew, who would literally kill for the band – including perpetual fierce and dangerous road wars with rival road crews for bands like Aerosmith, Argent, Black Oak Arkansas, and Black Sabbath – and the story of the roadie Peter “Moose” Oreckinto, who almost lost a hand in a pyrotechnic accident. 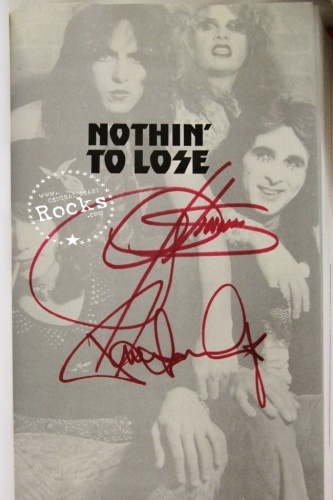 Drawing on more than 200 interviews, NOTHIN’ TO LOSE offers a captivating and intimate fly-on-the-wall account of the band’s launch, charting the struggles and ultimate victories that led them to superstardom. With over 200 photos, tour memorabilia, show ledgers and rare early shots of KISS before the band’s look became solidified – including never-before-seen images of the band recording their first album in New York City’s Bell Sound Studios circa November 1973, NOTHIN’ TO LOSE is an all-access pass to the band’s historic launch. Constructed as an oral history, the book includes original interviews with Paul, Gene, Ace, and Peter, as well as producers, engineers, management, record company personnel, roadies, club owners, booking agents, concert promoters, costume, stage and art designers, rock photographers, publicists, and key music journalists. 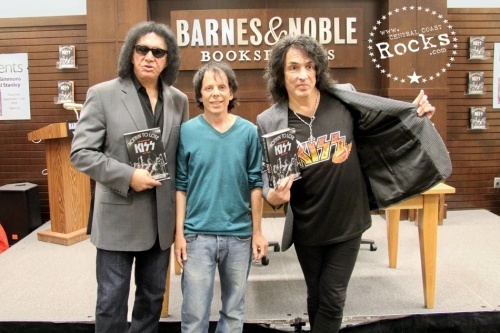 Many of KISS’s musical contemporaries from the time, most of whom shared concert bills with the band on their early tours, also lend their perspective via new interviews; these include Bob Seger, Alice Cooper and Ted Nugent as well as members of Aerosmith, Black Sabbath, Rush, Slade, Blue Oyster Cult, Mott the Hoople, Journey, REO Speedwagon, Styx, Raspberries, James Gang, New York Dolls, Iggy & the Stooges, The Ramones, Suzi Quatro, Savoy Brown, Argent, Nazareth, Uriah Heep, and Wishbone Ash among others. Ken Sharp is the author of Starting Over: The Making of John Lennon & Yoko Ono’s Double Fantasy (Gallery/VH1 Books, 2010), Elvis: Vegas ‘69 (Jetfighter, 2009), KISS: Behind the Mask (Warner Books, 2003), and numerous other books. He lives in Los Angeles, California. 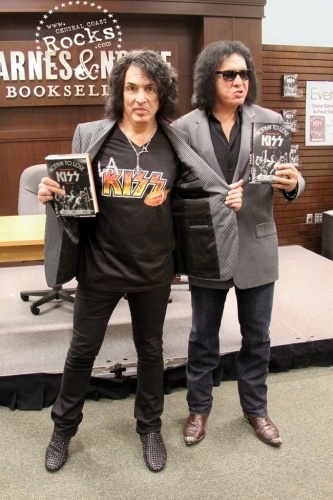 Known as rock’s iconic ultimate showmen and larger than life co-founders of hard rock supergroup KISS, Paul Stanley and Gene Simmons founded the band in the early ‘70s. 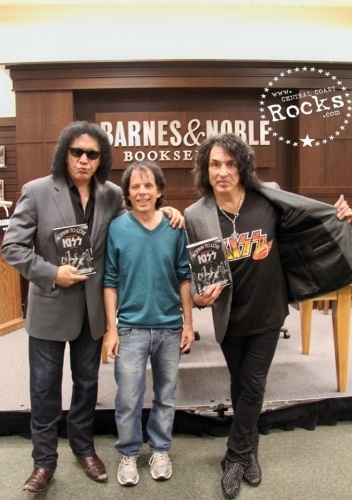 KISS is regarded as one of the most influential rock and roll bands of all-time. The band holds honors as one of America’s top gold record champions, selling over 100 million albums worldwide in their 40 year career. KISS’ career milestones are staggering, boasting decades of record-breaking tours around the globe. Notable moments include appearances at Super Bowl XXXIII, the 2002 Winter Olympics, the 2005 Rockin’ The Corps concert for the U.S. troops, and performing on 2009’s American Idol finale to 30 million viewers. The band recently announced a unique partnership with the Arena Football League that will bring arena football back to Los Angeles with a new expansion team, LA KISS.